Christmas and let’s face it, present time! Buying presents is never really an issue for most when it comes to close family and friends but when it comes to acquaintances, the person who bought you a present and now you feel obligated to buy them one or even your work Secret Santa – that’s when the pressure starts building. No one wants to be known as the terrible present giver. So I’ve compiled a short but sweet list of some great stocking fillers and last minute gifts to take some of the worry out of your Christmas shopping! For the skin care, lotions and potions lover in your life, The Body Shop is the place to go! You can pick up mini body butters, hand creams, face masks – the works! The Body Shop also have a fantastic Christmas gifts selection if you’re not sure what product goes with what. 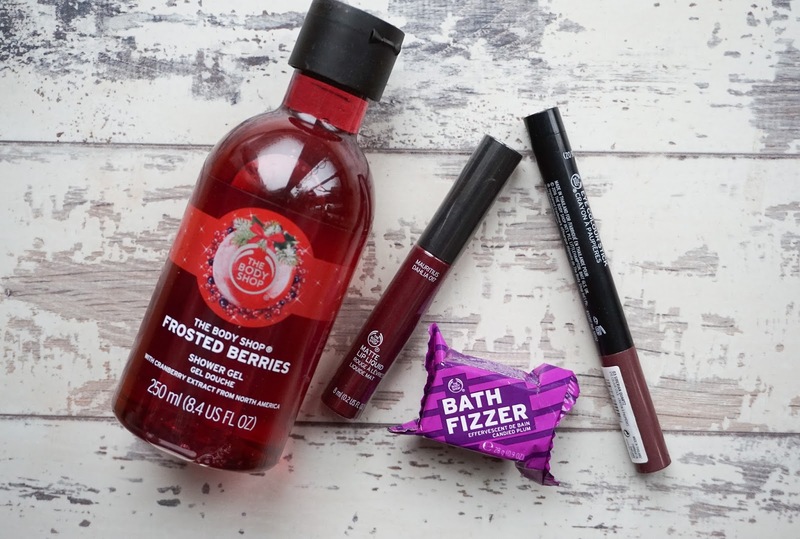 For a few stocking fillers why not opt for the Frosted Berries Shower Gel*, Matte Lip Liquid in Mauritius Dhalia*, Bath Fizzer in Candied Plum*, Eye Colour Stick in Siberian Quartz* all are priced at under £10 each making them extremely purse friendly. If you’re giftee is a body butter lover than pop into the store pronto as The Body Shop are offering free body butter customised tubs, see mine HERE! 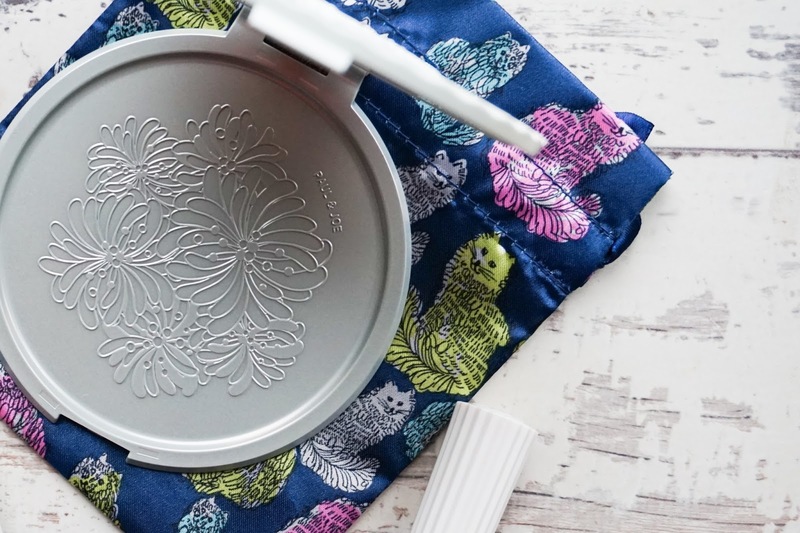 Paul & Joe know how to package products beautifully, from the detailing on the mirror case to the stunning fabric on the pouch for the mirror, there is no denying that this is a gorgeous gift! This present is for the woman who likes to do her makeup on the go as this mirror is larger than your normal mini mirror, it also has a nifty base that allows you to pull this out and prop it up wherever you are! If your Secret Santa isn’t a makeup girl, she may just be a nail varnish girl! Get in the Christmas spirit with these two shades from Paul & Joe. A gorgeous metallic Burgundy which screams Christmas and aptly named Christmas Cheer or for your neutral lovers a muted light mauve grey called Firewood. The formula of these varnishes is spot on giving you opacity with only two coats and a quick drying finish. 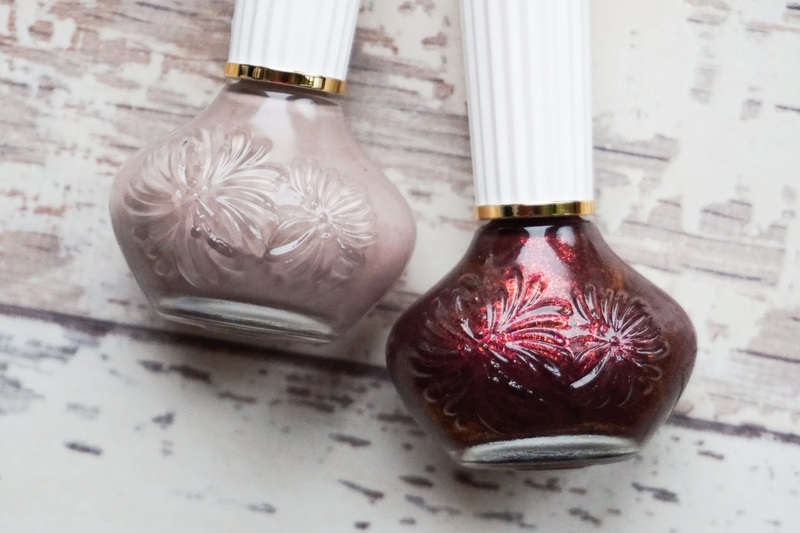 Can we also, once again, take a minute for the beautiful bottles these varnishes come in! 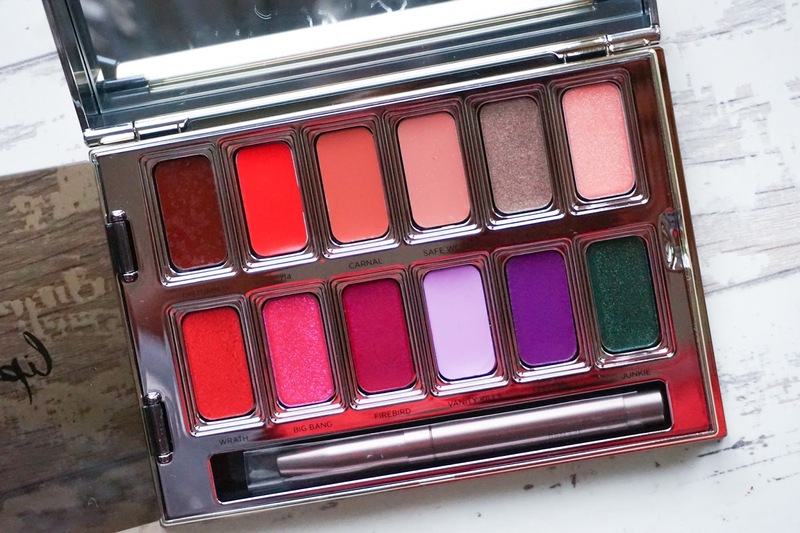 For the lipstick lover in your life, this palette is what you need. 12 of some of the best lipsticks around from mattes to shimmers, day to night this is the palette for everyone, even those fussy ones. Complete with one of the sexiest cases I’ve ever seen this is a surefire winner. Yes, it’s more on the expensive side but totally worth it if she loves her makeup and if you’re worried about that green – don’t fret, it works, don’t believe me? See HERE. 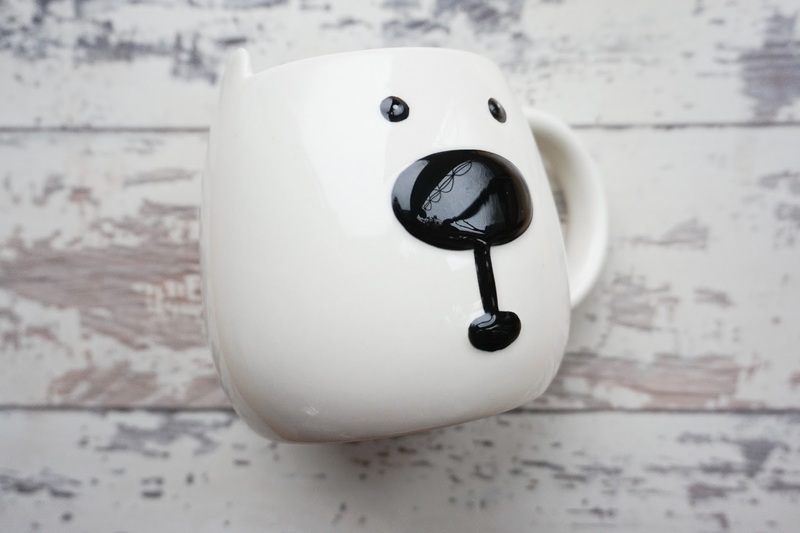 Possibly one of the cutest mugs ever for the tea/coffee drinker in your life. Once you have this in your possession you’ll be looking for any excuse to get it out. Team this cute mug with your person’s go-to beverage (hot chocolate, flavoured coffee, herbal tea) for extra brownie points or for added inspiration why not check out John Lewis’ gift selector!